May the Fourth is just around the corner and if you're a Star Wars geek and costumer like me, then you know what that means. It's time to make a new Star Wars costume! I've been wanting to make my own Jedi ensemble for a while now, so that's what I decided on making for this year. I posted a while ago about Jedi inspiration and making my own unique costume, but I've decided do it a little different. I love Obi Wan in the prequels, so I'm basing my outfit on Obi Wan's from Revenge of the Sith (my favorite of his three uniforms/outfits/whatever you want to call it). I wanted to share some of my research even though I've already got the mock up done. I'll be buying the material next week and I think I'll have the sewing part done not too long after that. Most Jedi costumes are fairly simple, consisting of the outer tunic, tabards, the obi, whatever undershirt they have, pants, boots and belt. I'm gonna start from the top and work my way down. Around his neck is his undershirt, which has three pleats and is made from a dark brown knitted material. His inner sleeves are made out of the same material and are scrunched near the wrists. Next we have the outer tunic (OT) which crosses in the front and has long, wide sleeves. It's made out of a sort of gauze in a tan/brown color. The sleeves of the OT are lined, but the rest of it isn't. 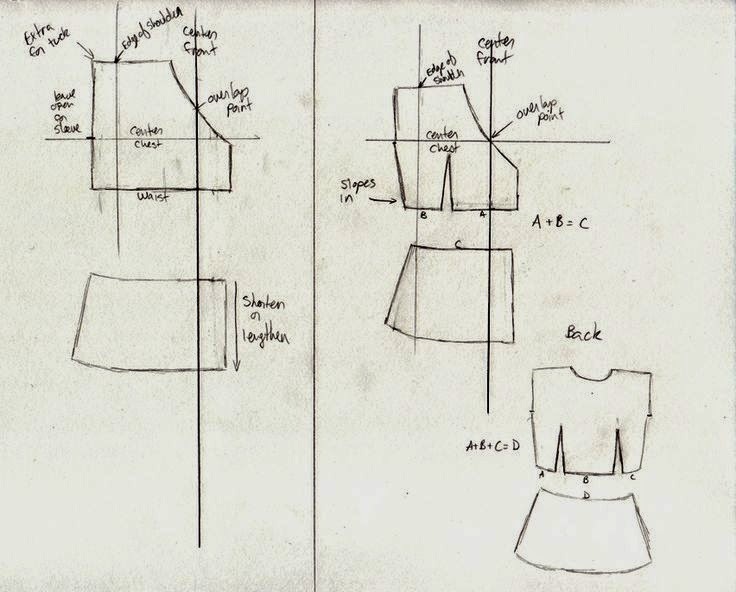 The tabards are the wide strips that come over his shoulders and hang down a few inches below the OT on both the front and the back. They are held in place by the obi, which is the sash like thing around the torso under the belt. 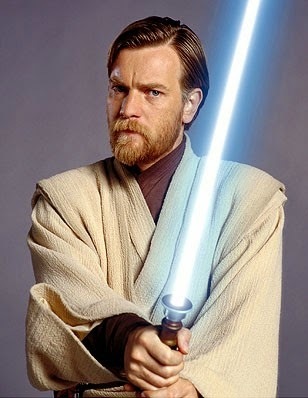 Both the Tabards and the obi are made out of the same material as the OT. 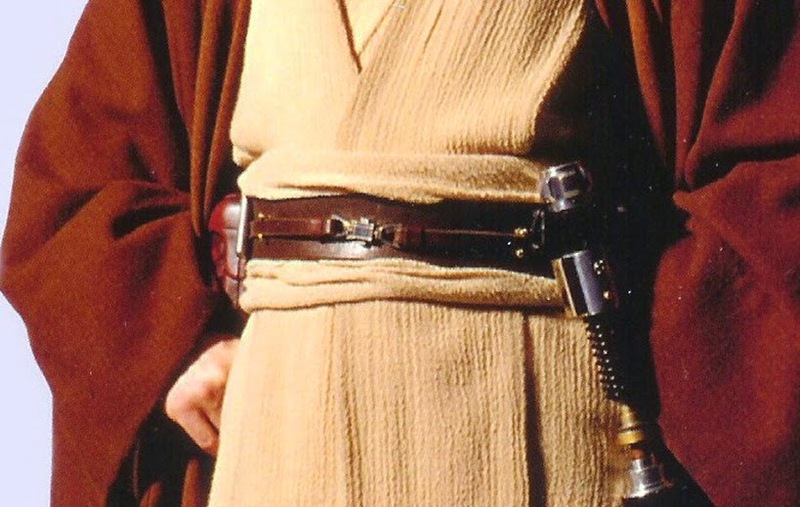 Jedi belts are made up of two belts. The first one is about 2 inches wide and the second one is about 1/2 inch wide. The smaller belt is held in place by 8 sam browne rivets placed around the belt. It also has a fancy clip in the center front. Around the belt are many things such as pouches, food capsules, and of course their lightsaber. 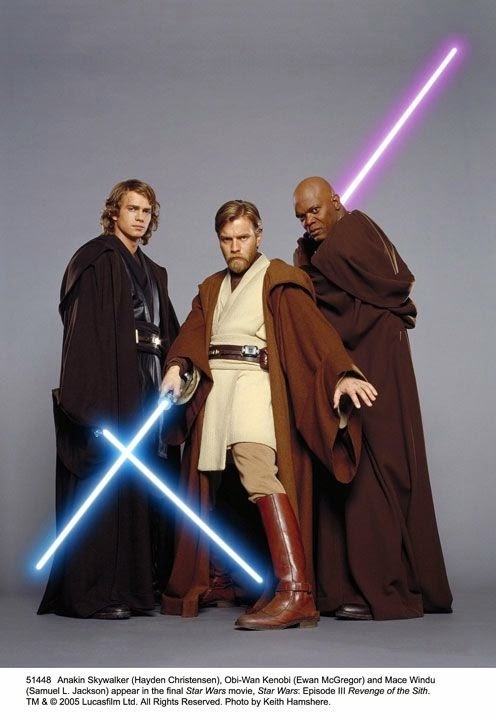 Here in this picture you can see my favorite part of every Jedi costume, the boots. For drafting my OT pattern I used Ver's pattern as a guideline, and I was able to get the mock up done really quickly. I'm planning on buying the pants and part of the undershirt (I'll explain more in a later post). I'm also going to be making the belt myself, but I'll be posting about that more later too.